This brand new addition to the Roltex range is ideal for producing stunning printed wall and floor graphics. It has a textured non-slip, scratch resistant finish which make it ideal for graphics in department stores, shops, offices, stations, airports, reception areas and exhibition shell stands. The 180 micron thickness and bubble free application makes it very easy to apply. 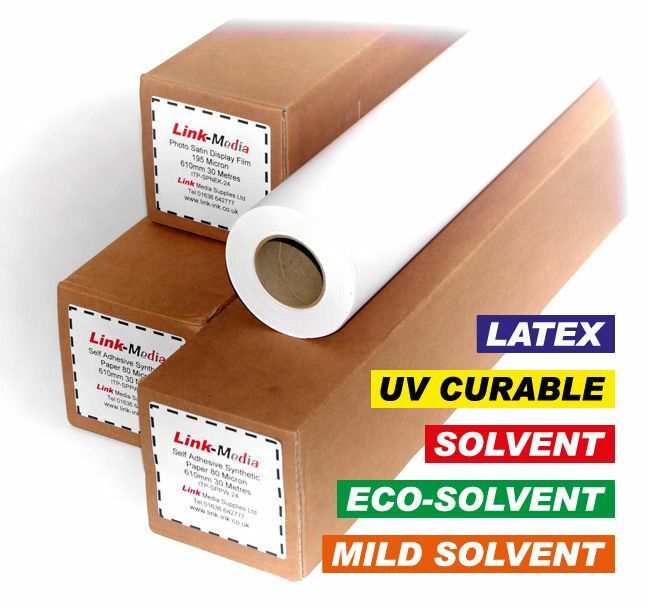 It is available with 2 adhesive types - permanent with a grey block-out adhesive and removable with a clear adhesive. The media with the removable adhesive allows graphics to be removed without leaving a residue.